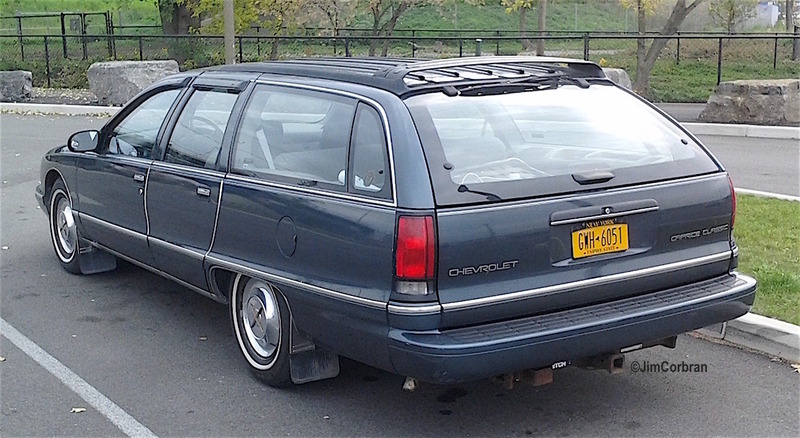 When I came upon this 1995 Chevy Caprice Classic wagon while on a bicycle ride last week, the first thing I noticed — along with the fact it looked to be in great shape — was the wheel covers. 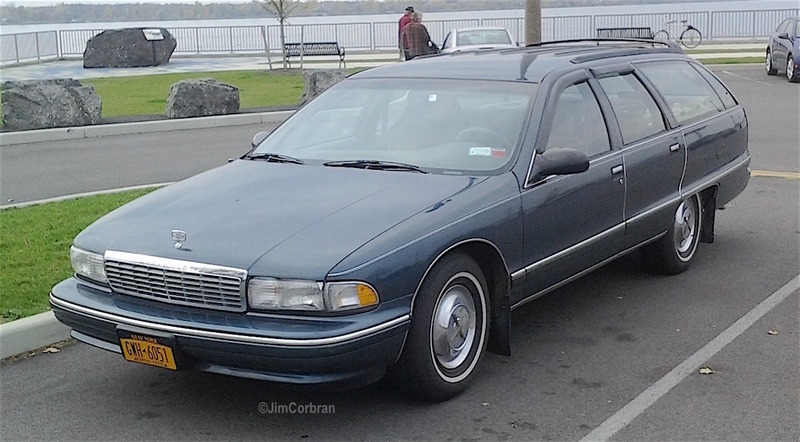 I tracked down Steve, the car’s owner, in Buffalo’s Black Rock Canal Park, and he told me they came from the 1954 Chrysler that his grandfather had given him when he was just 13-years-old. The car is long gone, but Steve has held on to those hubcaps all these years. 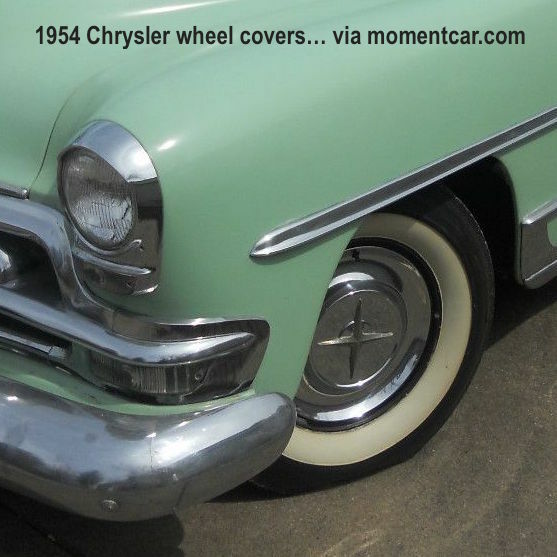 This remarkable-looking wagon has a mere 54k on the odometer!